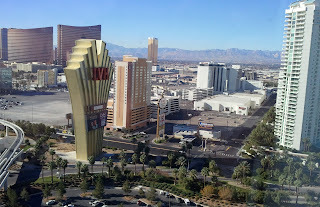 I have less than 48 hours between jobs, so I touched down in Vegas today for the closest thing to a vacation I can get. I got a room for $59/night, plenty to eat and drink, an awesome gym, and of course it's an NFL weekend. I have two Bowl games and a New Year's Eve hoop game to prep and complete before I return home, so it's a nice opportunity to recharge the batteries. It was my first "season" as a 25-year old full-fleged associate producer for the network. And while I still had my hands in some MLB and World Cup Soccer, I was traveling on Arena Football. The games rated fairly well back then, and increased that year once baseball went on strike and took the rest of the year off. But on that night, we had a fairly nondescript game between the Cleveland Thunderbolts and the Las Vegas Sting. Former West Virginia QB beast Major Harris played for Cleveland, but there weren't any other players that anyone would remember. The coaches, however, had some history. Las Vegas was coached by former Patriots QB Babe Parilli, and Cleveland was coached by Earle Bruce (yes, that Earle Bruce). I was still wide-eyed at that point at who I was sitting with in coaches' meetings. The game was at MGM Grand Gardens, which was extremely convenient since we were staying at the MGM Grand. I remember calling housekeeping to ask for an iron, and they said "the" iron would be brought right up. The iron? The place has over 5,000 rooms and one iron? The thing that was important in my world was that we were going to debut an innovation in our graphics. If a flag was thrown during a play, we would flash "flag" in the upper corner of the screen. We were still using those funky espn2 graphics at that point, so it really stood out. Some management types were alerted to this ahead of time and we were told they'd be watching. But a funny thing happened shortly after we went on the air. Remember the date of the event? What else happened that day? 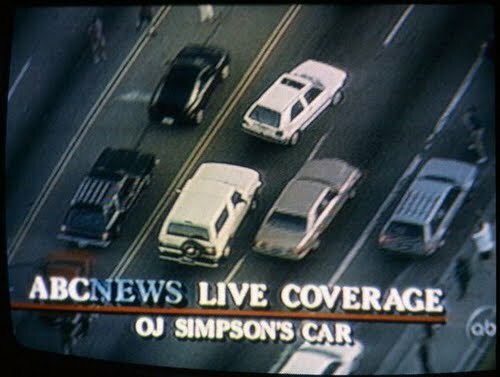 A white Bronco made a slow ride down a Los Angeles freeway, and ESPN, along with every major network, broke away for live coverage. NBC even ditched coverage of the NBA Finals to cover the breaking news. We on espn2, however, were told to just keep covering the game since O.J. Simpson was already wallpapered across the nation. So we did our game, ran our "flag" graphic innovation, and nobody said a word about it because nobody watched. In later weeks we fine-tuned it, and later it became part of what we see in today's football coverage, along with the constant clock-and-score and the yellow 1st down line. In this business, there's no real personal credit for innovations. I'm not the Neil Armstrong of "flag" graphics, and nobody has called me to set up an exclusive one-on-one interview with a visionary. I can only be in the right place at the right time. And while I was one of the few people in America that didn't see the Bronco chase live, I just happened to be in LA for pivotal outcomes of the Simpson case. I was there for a Reds-Dodgers playoff game in 1995 when he was exonerated. And then I was there for a Laker game in 1997 when Simpson was found liable in the wrongful death civil suit. 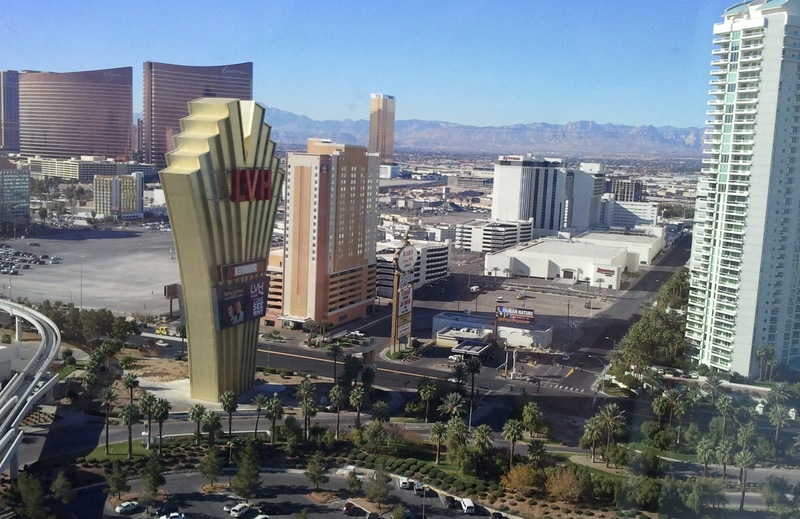 Simpson later made a regrettable trip to Las Vegas, and he was ultimately sentenced to 33 years on multiple charges, including kidnapping and armed robbery. He has been in prison in Nevada for the last 5 years. Sorry Juice, I'm only in Vegas for a quick trip. I won't have time to visit.